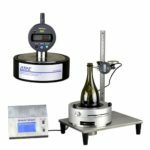 In addition, AT2E also offers a wide range of dimensional measuring devices: Perpendicularity of bottles and preforms, thickness measurement by probe or thickness measurement using a magnetic ball (HALL) method, height measurement, concentricity, control Of the boxes, diameter control. AT2E is at your disposal to advise you in carrying out the tests. 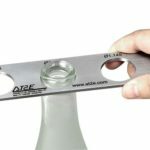 The ADATMV, as an option, can also perform a Cork extraction test. For packaging lines, we offer two control systems for couples control and calibration checks. The BT ETA TORQUE (Bottle torque control for screw head, wireless) and the BT ETA 5 (with wire and remote display). We also provide online/inline and stand-alone systems for TORQUE CONTROL in our starwheel system. 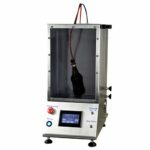 VACUUM LEAK TESTERS include the models ECO VLT, VLT D PLC and VLT. 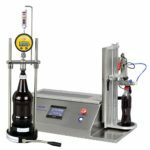 These devices perform tests in a vacuum or pressurization test for bottles, pouches, jars, vials and blister packaging, among other types. Bubble test instrument. Pressurized space (Head Space) between the liquid and the cap increases until the test product reveals a leak. The ECO SSA, SSA D and SSA PLC (secure seal analyzer) are configured in three types of devices from very simple to the more sophisticated unit to perform your tests. 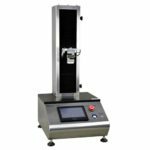 We offer analog and digital dynamometers that can be used independently or fixed on test benches, manual or motorized. 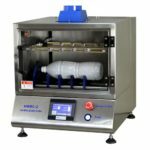 These devices perform peel tests, push tests or pull tests on all types of packaging. The TCT-2 is a multifunction model usable via touch screen. 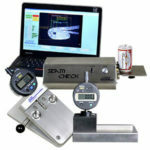 It is an ultra-modern and easy system to use for compression and pulling tests. 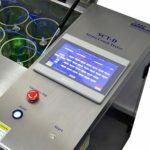 We offer two devices specifically designed for the online/inline measure placed under screwing or seaming heads namely the BT ETA FORCE (wireless) and the BT ETA FORCE SHF (wired and with remote display). These devices are delivered with a custom bottle or can shape and used for control support. 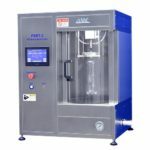 The Burst testers, for PET (PBBT) and for Glass (GBBT) are available in single and dual-position. They control the pressure to expand and / or explode PET and glass. The device has a very intuitive touch screen, a sleek design, and is extremely easy to set up cycles in detail. The instruments include software for storing and managing the statistical results of your tests. 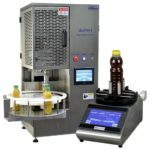 In addition we offer the BTLT (Bottle Top load tester). This device can perform the test of resistance to pressure (down-force) vertical deformation to rupture. The suggested maximum force is 2200 kgf. 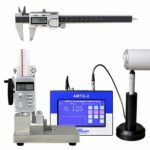 Measuring devices for CO2 by pressure – temperature method. A simple device that pierces the sample and performs a stirring motion to stabilize the CO2. During the piercing a probe measures pressure (and temperature as an option). CO2 content is then calculated using corresponding tables. 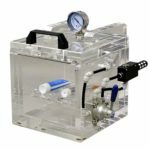 CO2 Tester models offered: CO2 easy, CO2 DM, CO2 DA and CO2 AA. 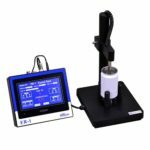 PVT pressure and vacuum testers perform internal pressure, vacuum level measurements.. 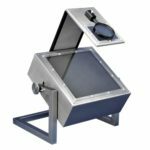 These devices are equipped analog or digital gauges for measuring the internal pressure levels of packaging. Our PPG, (analog or digital versions) measure the perpendicularity of preforms. 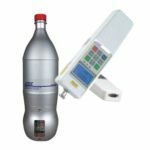 The PBPT is for PET bottles and GBPT for glass bottles for measuring the perpendicularity of this type of bottles. These devices are available with an optional computer interface. The HWBC (hot wire cutter bottle) allows accurate cutting of PET bottles after blowing. This allows the analysis of the distribution of the material during blow molding by weighing after cutting.